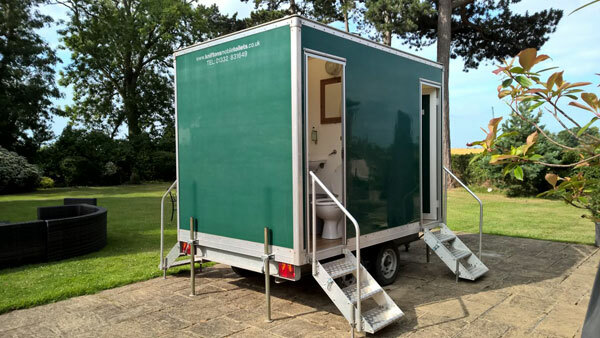 Scroll down this page to view more details and photographs of our range of Mobile Toilets. Two very spacious individual toilets, normally used as one ladies & one gents. 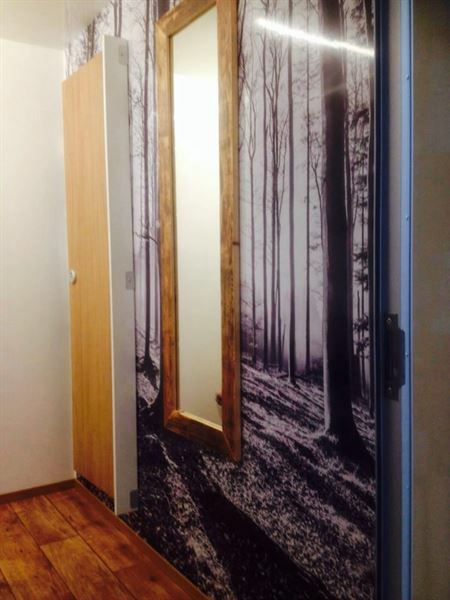 Each toilet cubicle has its own sink, with mirror above. Supplied with consumables, including hand lotion. Available in green or white finish. Suitable for parties of 50-100 people. 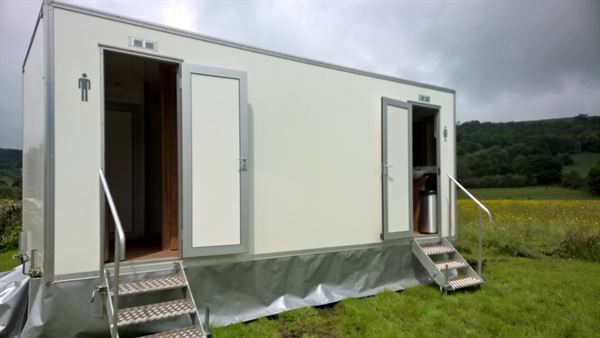 Trailer dimensions: 2.75m x 1.83m. Two ladies toilets, one gents toilet and one urinal. 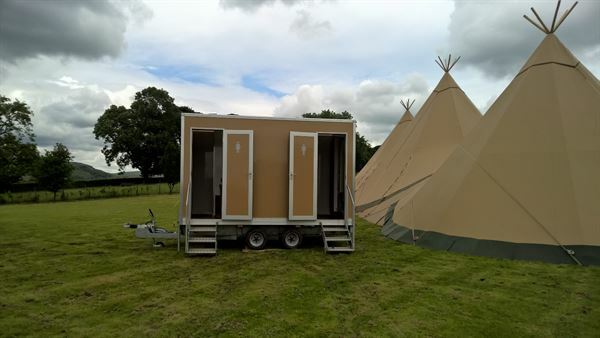 This unit is available in traditional white or green external finish, and new for 2016, we have a tipi themed Sylvan with a taupe external finish. Suitable for parties of 100-200 people. 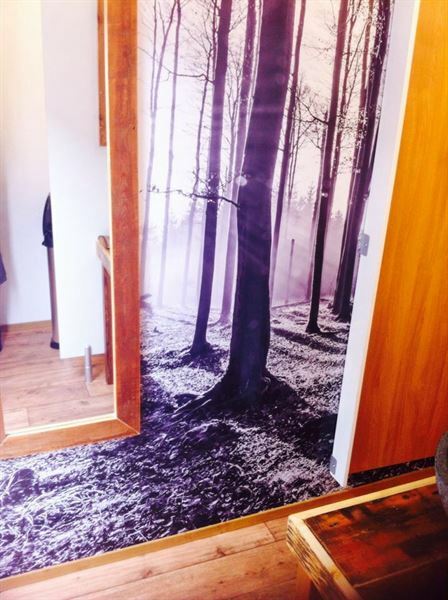 Trailer dimensions: 3.65m x 2.14m. 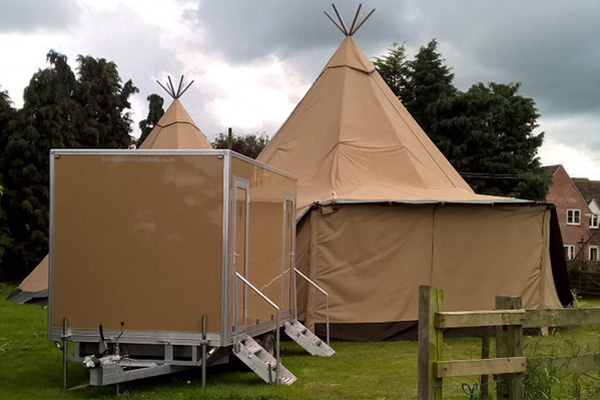 This unit is finished externally in ‘tipi taupe’ colour, which has been individually colour matched to tipi canvas. 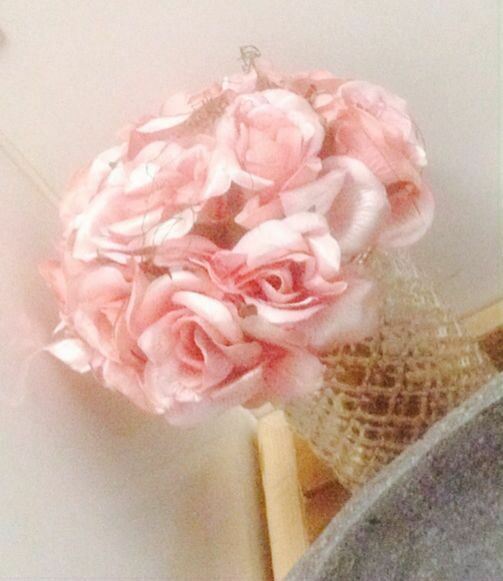 It will be a perfect partner for a tipi event. 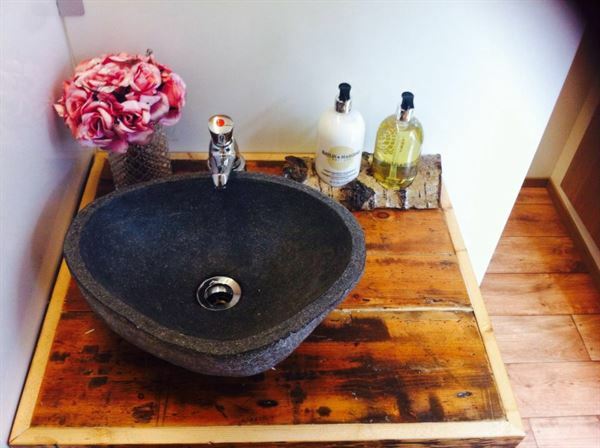 Bespoke wooden furnishings and natural stone sinks. 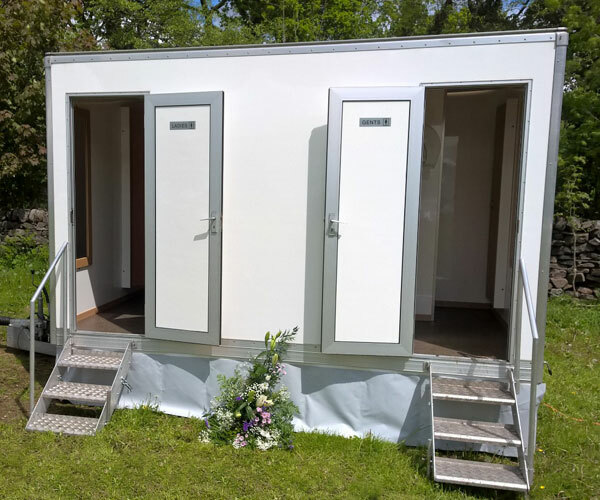 Four individual toilets, normally used as two ladies & two gents. Three ladies toilets, one gents toilet and two urinals. Suitable for parties of 150-250 people. 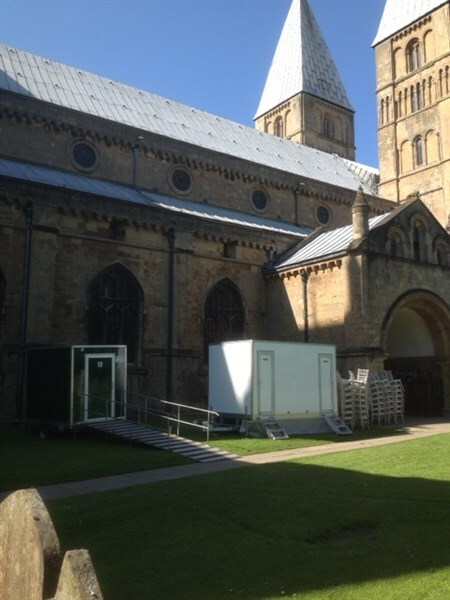 Trailer dimensions: 5.6m x 2.3m. 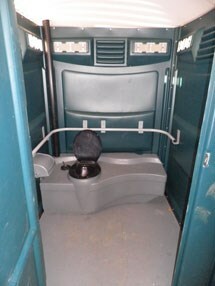 Vacuum operated toilet using the latest in fresh water flush technology. Does not use chemicals so an ecologically friendly unit. Two ladies toilets, one gents toilet and two urinals. Four ladies toilets, two gents toilets and three urinals. Can be either recirculating or will run from a mains connection. Available in green or white external finish. 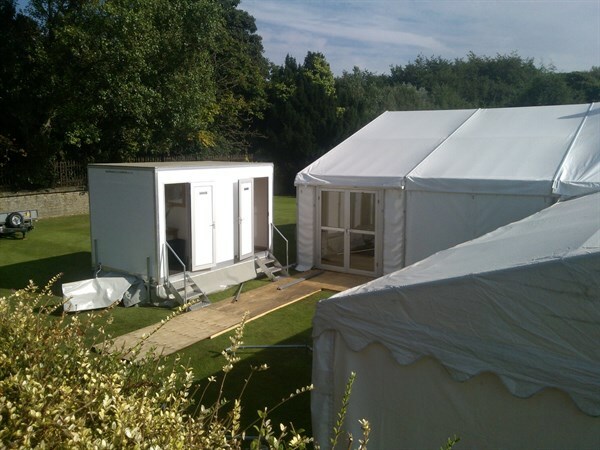 Suitable for parties of 250-400 people. 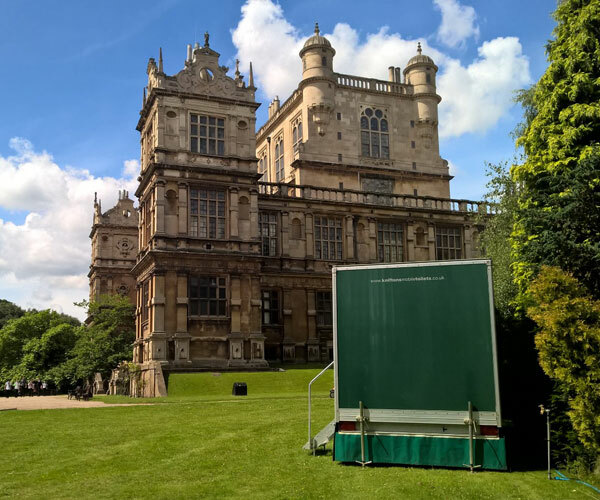 Trailer dimensions: 6.1m x 2.3m. 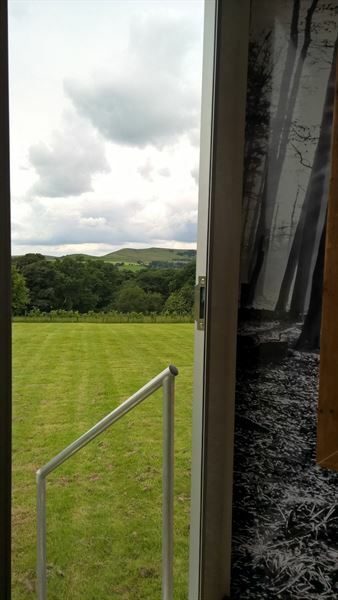 It has wide access doors, suitable for wheelchairs, and access is from a gently sloping ramp. 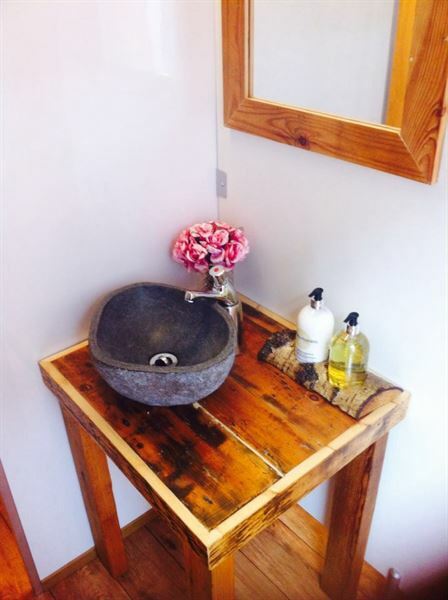 The unit has hand rails throughout, and has a vanity area with mirror above. 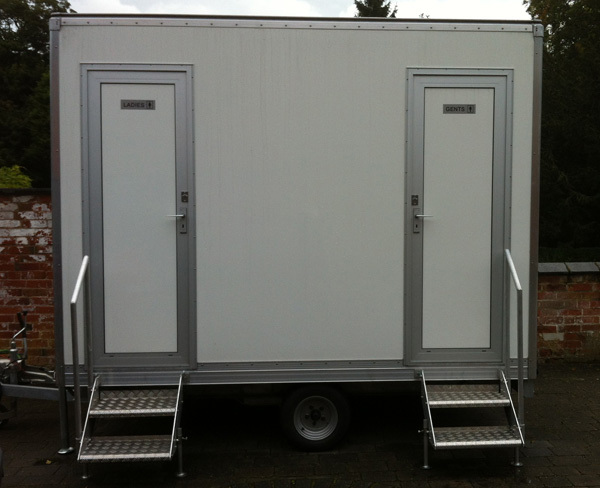 Trailer dimensions: 2.44m x 2.44m (ramp is an additional 4.26-5.48m). Self contained individual recirculating unit. 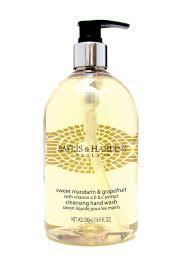 All of our luxury toilets come with Baylis & Harding soap. A luxurious hand lotion that contains Vitamins A, B & C and has a lucious fragrance. 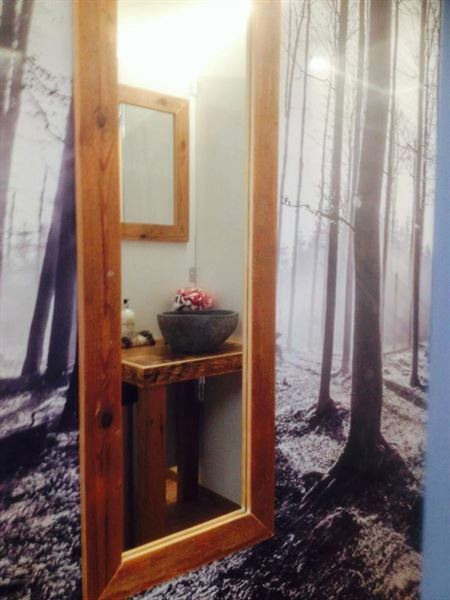 Automatic Air Fresheners are installed in all of our luxury toilets to help improve customer hygiene and eliminate any odour that may occur. 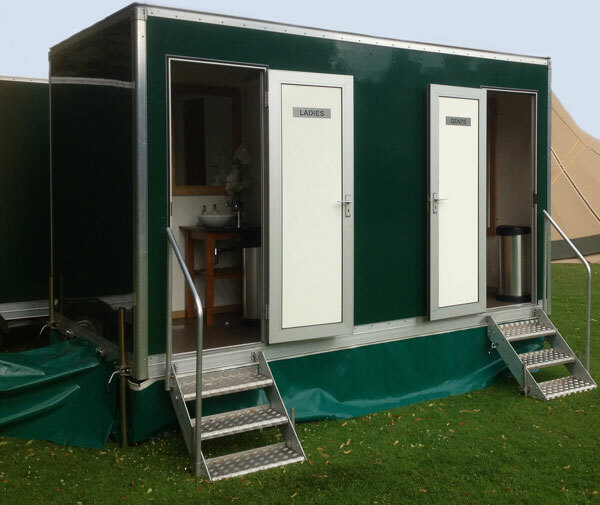 As we have the largest of luxury toilets in the UK we are able to cater for late or last minute bookings. If you’re in an emergency we can help. 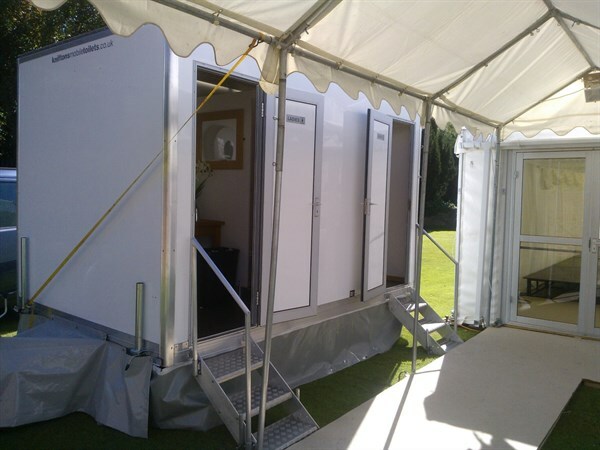 We provide our Mobile Toilets to the following surrounding areas of Birmingham, Burton on Trent, Chesterfield, Coventry, Derby, Doncaster, Grantham, Leeds, Leicester, Lichfield, Lincoln, Loughborough, Mansfield, Matlock, Melton Mowbray, Newark, Northampton, Nottingham, Sheffield, Stafford, Stoke on Trent, Tamworth as well as the counties of Derbyshire, Leicestershire, Lincolnshire, Nottinghamshire, South Yorkshire and Staffordshire. 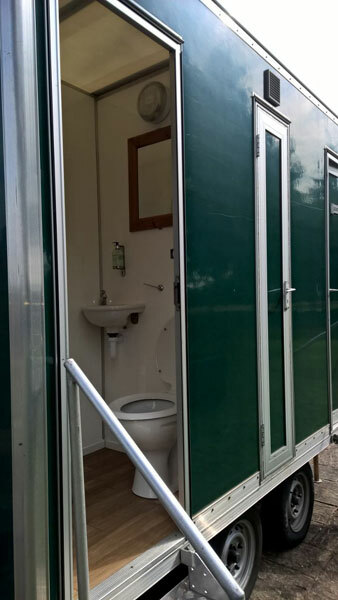 Kniftons Mobile Toilets Limited trading as The Convenience Company is a registered company in England Registered Number 08476984.